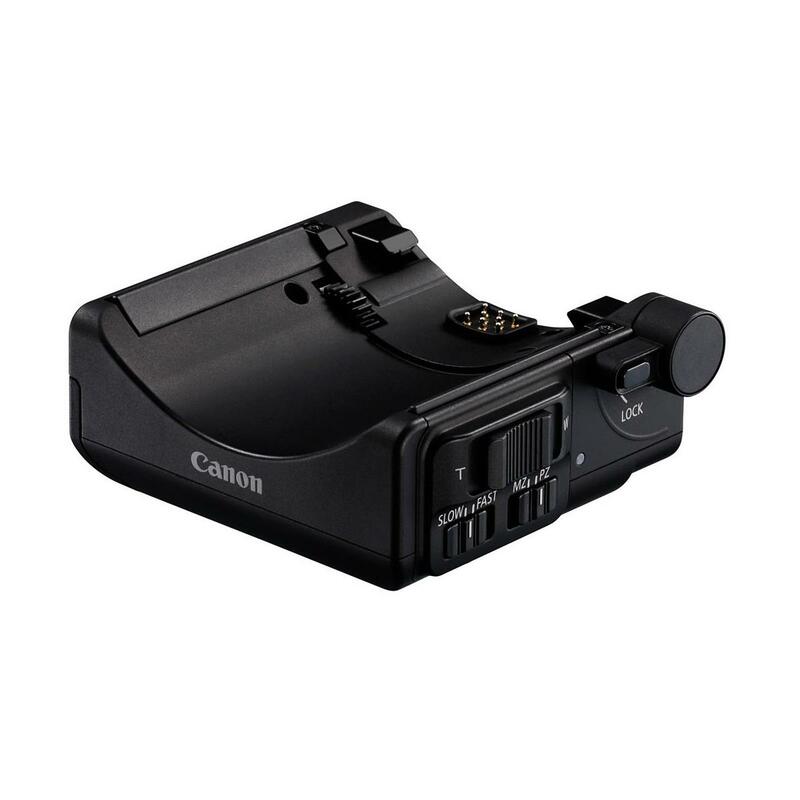 The Canon PZ-E1 Power Zoom Adapter offers smooth control right at your fingertips when shooting movies, in a lightweight and compact package that is powered by easily available AAA batteries. It allows you to conduct smooth and dynamic zooming to capture varied perspectives, and zoom in to distant subjects, or pull back for a wider perspective using the slider control. You can easily and quickly track your subjects at the push of a button, so is ideal for shooting documentaries or news footage, but works equally well across other situations. It also features a fine speed control lever to change between different zoom speeds, and has a lock lever and release button for secure and fast attachment to the lens. The adapter can be seamlessly remotely controlled with a smart device and a Wi-Fi-enabled camera with the Canon Camera Connect app, so lets you record footage without disturbing your subject.